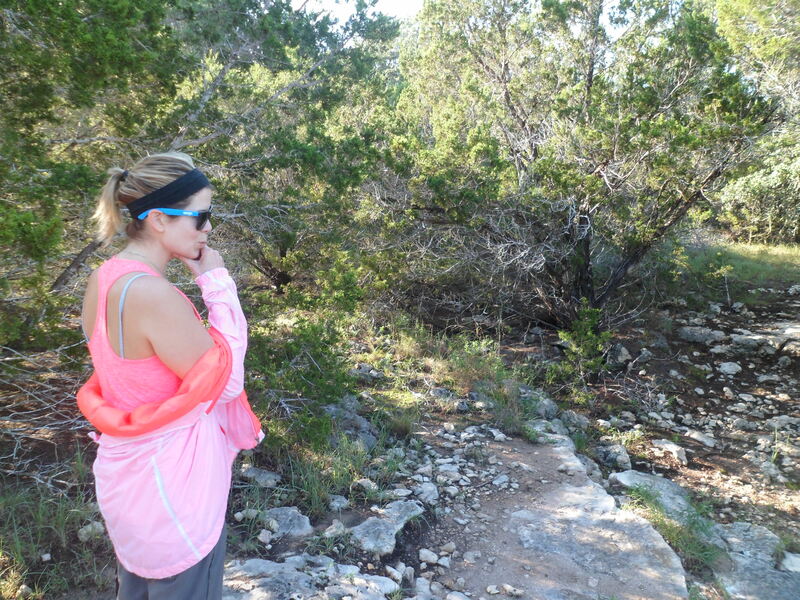 We woke up early and made the 45 minute drive out to Pace Bend Park off of Highway 71 west of Austin. 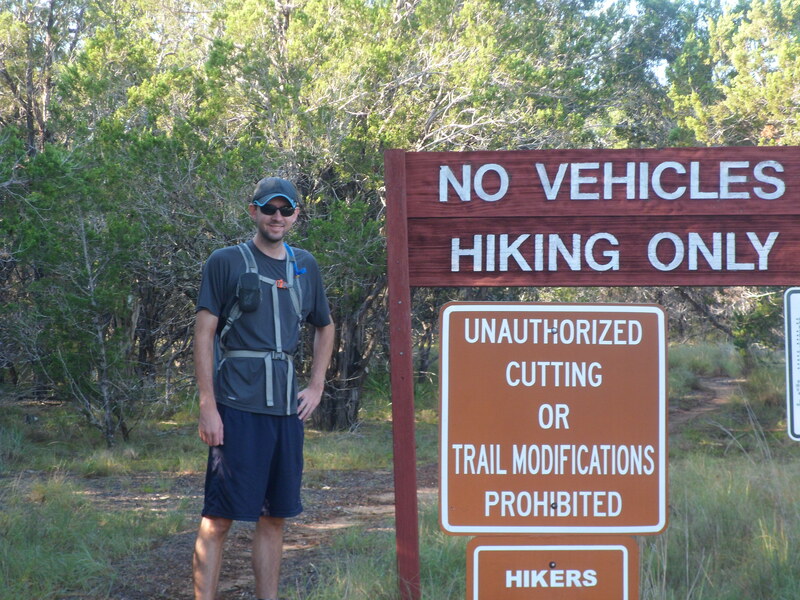 There are a lot of trails in the park and a lot aren’t marked real well, so there was some interesting navigating going on at times. Court does not like the idea of being lost I found out today. But on the plus side I got to use my recently acquired compass a few times. 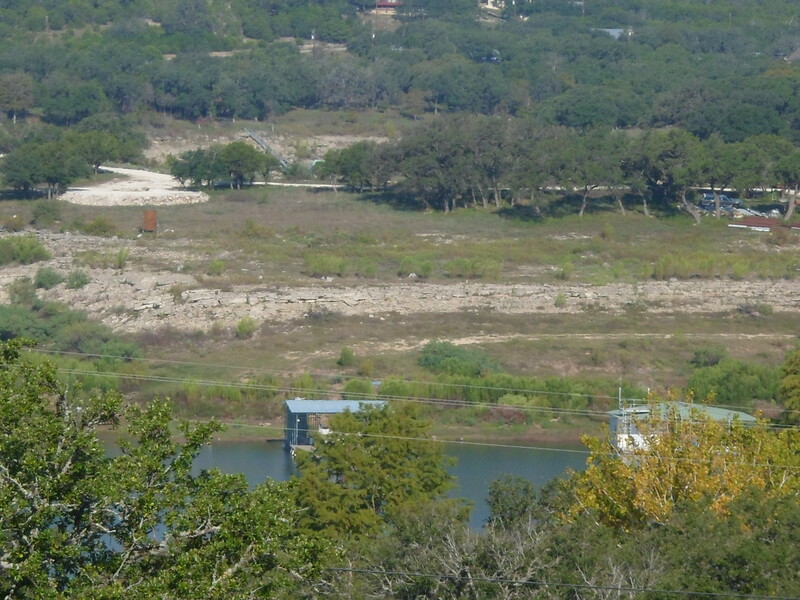 We got some decent elevation at times that showed some good views of Lake Travis (what’s left of it) and the Hill Country. 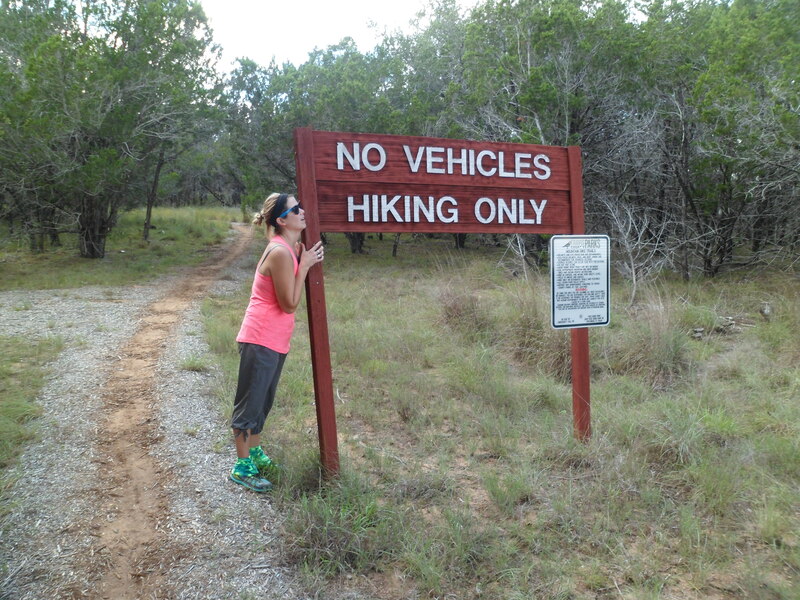 Didn’t see any other hikers, just a few bikers. 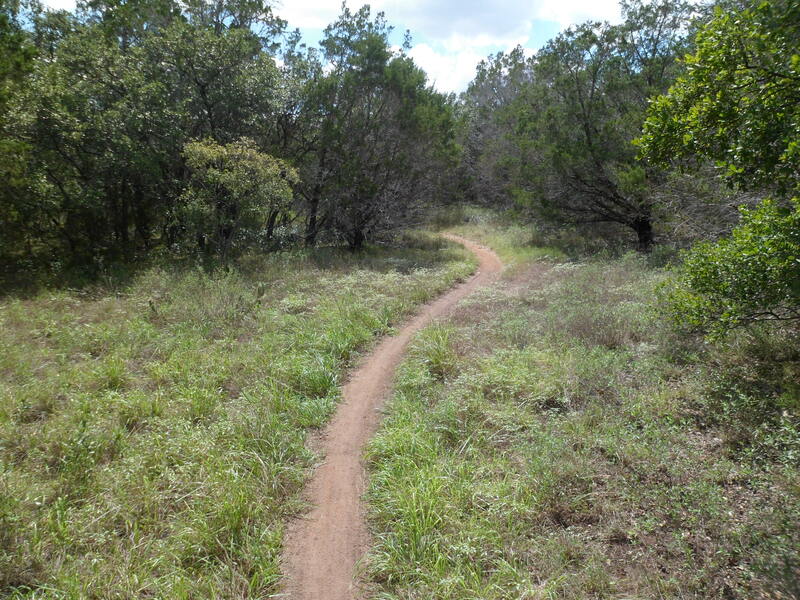 Surprisingly, not much wildlife, aside from a huge jackrabbit that ran across the road on the way in and a massive spider in its web on the side of the trail. 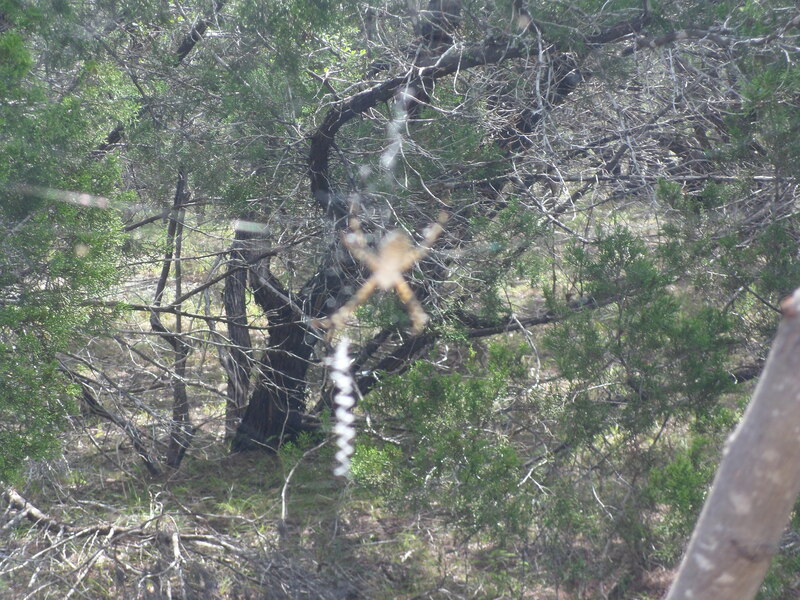 I’ve gotten better about my spider fear, but I still didn’t want to get too close. We also saw a dung beetle rolling it’s ball of dung down the path which was a first for both of us. Pretty interesting because they do it backwards. 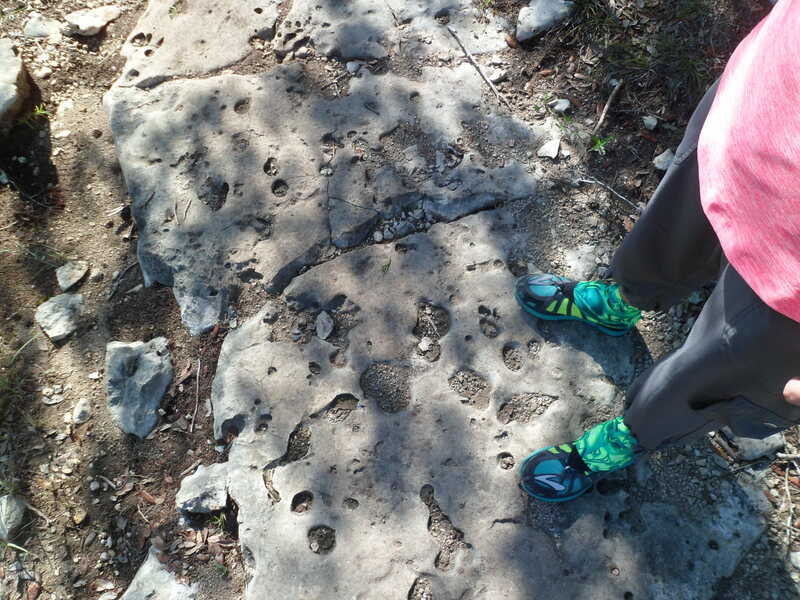 holes in the limestone. this all used to be under the ocean. The trail was pretty rocky so it was a bit tough on the feet, but considering it was our first hike in over a month, we both did pretty well. Court had to get past the mental block of being lost, but she powered through in the end. 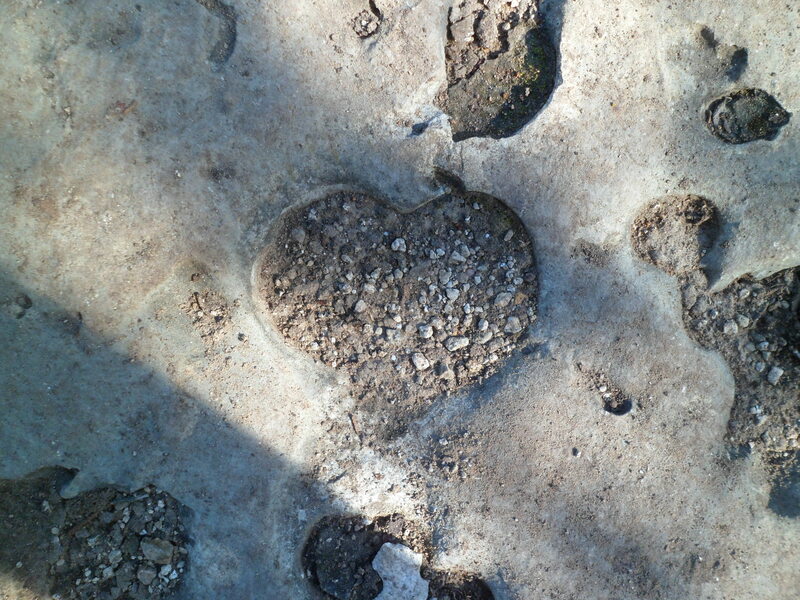 Pace Bend Park is located in far western Travis County in the Hill Country of central Texas. 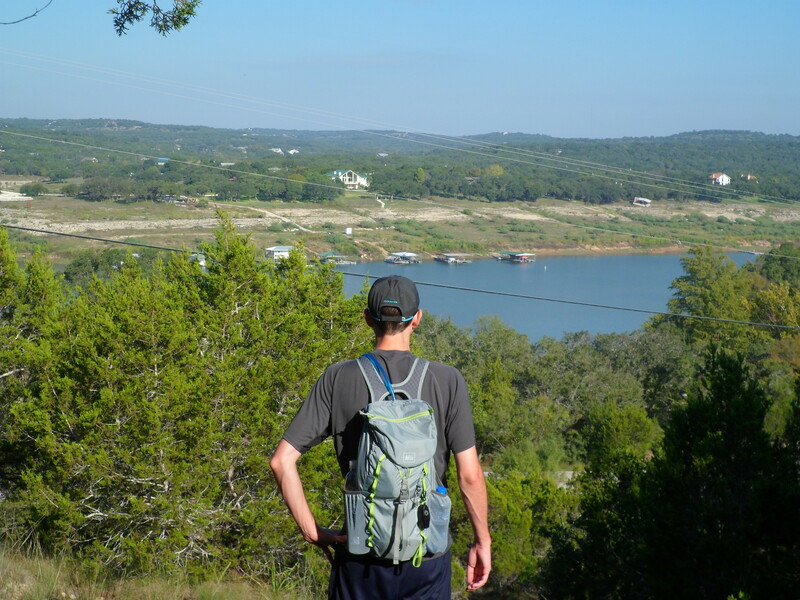 With more than nine miles of shoreline along scenic Lake Travis, Pace Bend is one of the most popular areas in the Highland Lakes region, offering visitors a wide range of recreational opportunities. 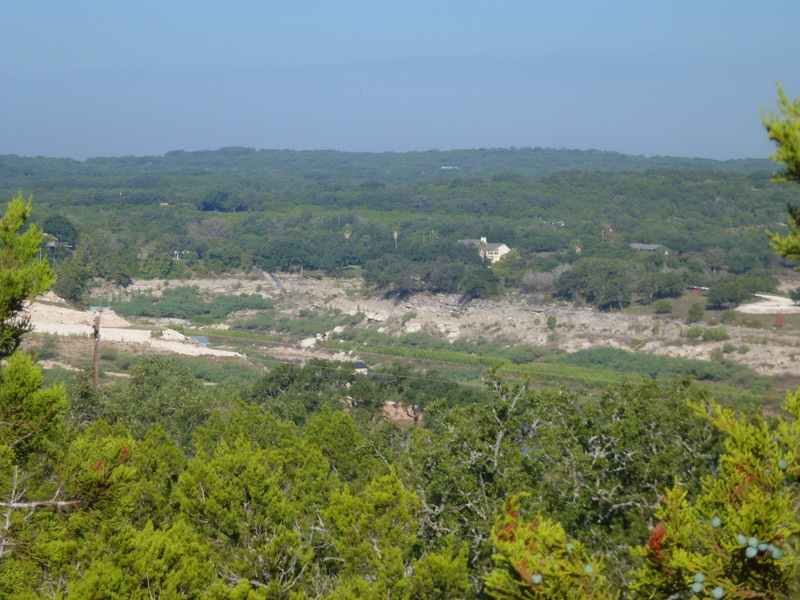 The west side of the park features high, limestone cliffs and numerous rocky coves with some of the most impressive views available of Lake Travis, especially at sunset. 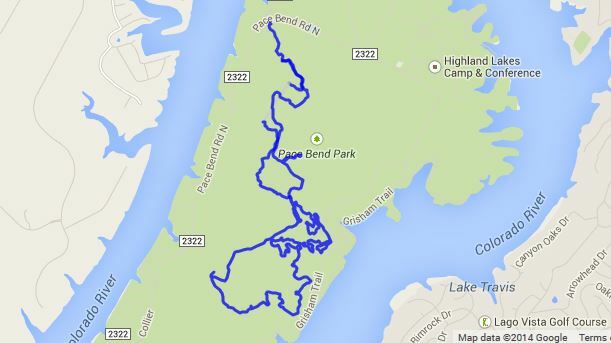 Most of Pace Bend Park is easily accessible by vehicle from the six-mile, paved roadway that loops the park. However, the interior of the park is managed as a wildlife preserve and can be reached by foot, bicycle, or horseback only. 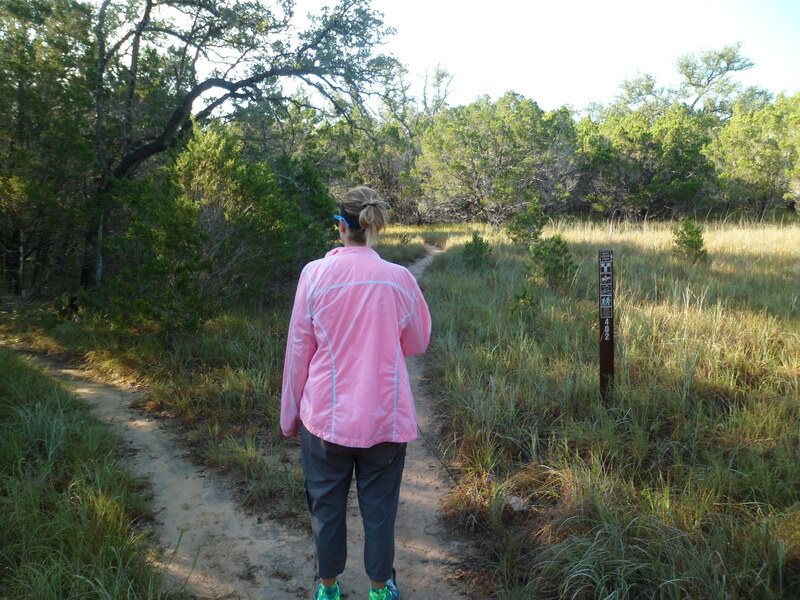 Numerous trails lead into the hills and provide excellent views of the lake and the Hill Country. 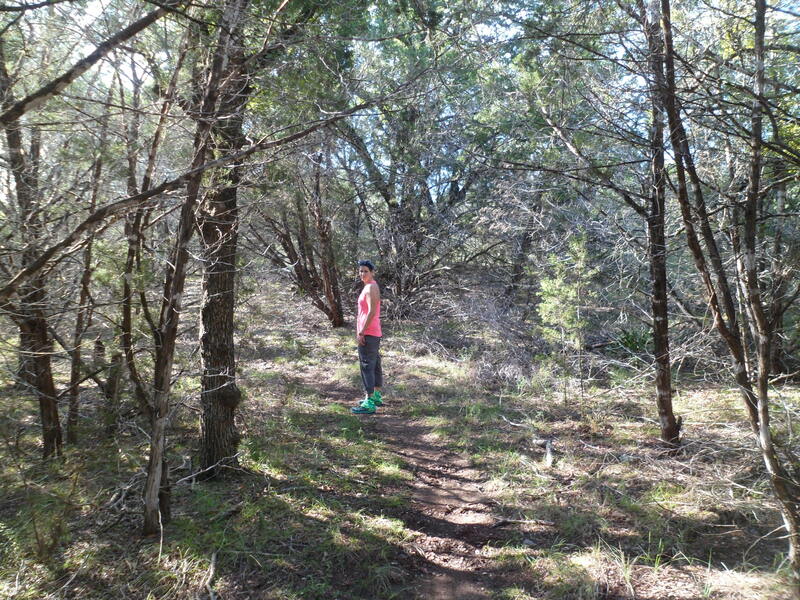 This area serves as home to a large number of whitetail deer, raccoon, fox, ringtail cat, and dozens of bird species.